Clydesdale and Yorkshire Bank Group (CYBG) has recently completed a company-wide rollout of the software-as-a-service (SaaS) ServiceNow enterprise IT service management (ITSM) platform to allow employees to self-serve IT helpdesk requests, automatically reset their passwords and make hardware and software requests, without having to pick up the phone. Since rolling out to all 12,000 employees in September the banking group says this has saved the IT helpdesk 1,000 hours per month on password resets, 5,000 hours on reporting and has helped halve the the time it takes to raise and implement a change request. The banking group, which includes the brands Clydesdale Bank, Yorkshire Bank and new digital-only bank B, has been focusing on becoming a digital bank since its de-merger from National Australia Bank. Computerworld UK checked in with head of IT service management at Clydesdale Bank, Scott McGarvey, after speaking to him earlier on this year ahead of the ServiceNow rollout, to find out how the project went and the benefits the organisation has seen so far. Naturally that 1,000 hour time saving on password resets is the headline figure and McGarvey admits this "was a big business issue for us, in essence there was no technology before, so you could say it was overdue". 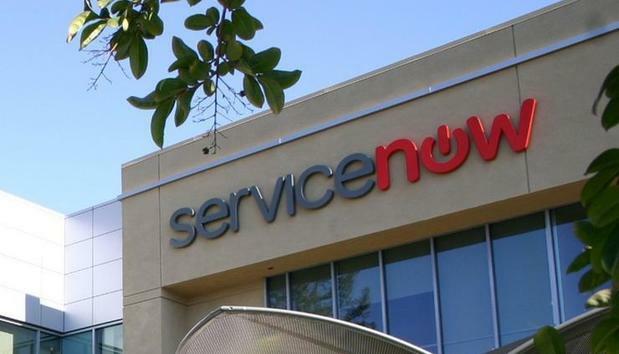 Where previously IT service requests were made using a mix of spreadsheets, Sharepoint, email and phone calls, all underpinned by legacy tools, the shift to ServiceNow gives the bank a unified platform for ITSM. As well as password resets, software and hardware requests, the platform includes a knowledge base where employees can effectively consult an FAQ for known issues and self-serve resolutions, rather than logging a ticket. The platform also gives the IT team access to performance data and dashboards. For example the team has alerts set for when an issue occurs more than ten times in a certain timeframe, allowing the team to get ahead of an issue before it starts to adversely affect a broad set of users. Recently that team saw 20-30 issues come in related to the Lotus Notes application, "so we were able to proactively start an incident process and engage with the right teams and resolve that by 9am to limit the impact", McGarvey said. "We automated 20 key service reports and removed all of the paperwork and email and migrated all of that to a unified workflow in the tool," he added. In terms of driving adoption of the new self-serve portal, CYBG ran an internal communication campaign, paired with local sessions led by 'champions' who can answer questions and be a point of contact for queries. To date 13 percent of all helpdesk requests are now made via the self-service portal, which "we think is high after the second month of launch", McGarvey said. The bank has also managed to deflect an additional 10 percent of requests by either using the request tracking function or by directing employees to knowledge articles. To make a return on investment McGarvey admits there is an adoption threshold the organisation has to hit. "Yes there is a threshold and we are well towards that," he said, without delving into exact figures. "The target was to covert the 7,000 calls a month to 3,000 calls. If we convert those to self-service requests that gets us to that ROI target." Last month the helpdesk dealt with 5,200 calls, so it is trending in the right direction. McGarvey admits that certain business units are slower to adopt than others though, which he believes is more down to awareness than resistance. "Not everyone is aware of the comms and in business fulfilment and the contact centre there is less comms, so it's a case of just continuing that campaign to roll out the tools," he said. The benefits of this new system are obvious: cost savings and staff efficiency. CYBG is already redeploying IT helpdesk staff onto different teams, predominantly into quality assurance roles. It also allows incident management to become problem management, "so shifting left there to have a greater focus on stopping problems coming through in the first place", as McGarvey put it. Next for the banking group is plans to bring facilities requests into the ServiceNow platform, as well as leveraging some of the machine learning features within the monitoring module of the platform to get ahead of issues. Facilities requests are still run across the bank on that old model of email and forms, so bringing that into the ServiceNow workflow tool seems like a no brainer. "We currently are doing a value exercise on an IT operations module to integrate all of our alerting and monitoring into the tool for customer experience," he said. "Our strategy is to centre service management around customer experience, so we want to gather the right metrics for customer experience, not just availability, and bring that to service management teams."